The Puppy courses are vital to assist with your puppy’s early socialisation allowing him/her to interact with other puppies in a safe and controlled environment. 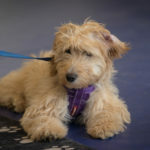 The course also includes learning the basic commands – sit, down, walking on the lead, puppy recall, stay/wait etc and advice can be given on problems such as house training, jumping up mouthing etc. Only kind reward based methods are used, Viewing always welcome and certificates are given on completion. Your puppy may attend puppy courses as soon as it is fully vaccinated. This is a 6 week course which runs in Wichenford at 7.00pm on Tuesday evenings, 11.30am on Mondays in Salwarpe and 10.00am on Fridays in Worcester. The Intermediate Courses are for those progressing on from the puppy/foundation stage, for adult dogs that need a basic training refresher and for handlers with a new rescue dog or are new to dog ownership and need some pointers to learn practical exercises which will be essential for your dog’s safety and your peace of mind. In this class you can expect to learn and gain basic commands and progression of these commands, including, walking on the lead, distraction recalls, wait/stay, ignore other dogs, leave (food, dogs, toys etc) sit/down/stand, control at a distance. 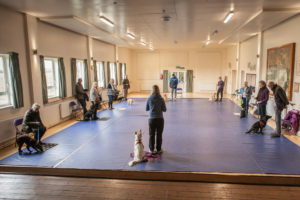 The class also progresses control of your dog without the lead around other dogs and distractions, understanding of canine body language and improves confidence in your ability as a handler. Exercises for fun, jumps and excitement control, scent, weaving through cones and sendaway are also a part of this progression class and we also teach you a range of exercises which will stimulate your dog through stretching them mentally and as you learn to communicate and understand them through training, your relationship with them will be enhanced. The Intermediate Course runs for 6 weeks and is held at 8.00pm on Tuesday evenings in Wichenford and 12.30pm on Mondays in Salwarpe. In the Advanced Course we teach recalls away from a variety of distractions and start teaching emergency stops. 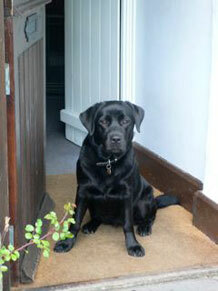 We also progress all the basic commands to eventually be able to do these off lead, in the presence of other dogs. There are a couple of exercises just for fun too! Advanced classes will progress all the exercises to off lead and we will teach some new exercises too, including retrieve, sendaway and scent. The Advanced Course runs for six weeks and is held at 1.30pm on Mondays in Salwarpe. 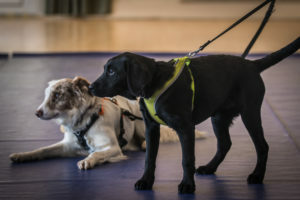 The Bronze Challenges Award is an exciting course aimed at dogs who have completed all their basic training and would like to progress to the next level. 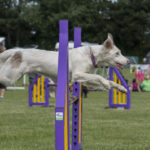 The training involves a range of skills and training techniques to teach a wide range of exercises which will mentally stimulate your dog, challenge them physically and test your training skills. 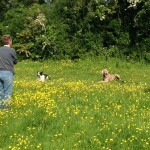 The course will be fun and rewarding for you and your dog and will enhance your relationship. The challenges run through bronze to platinum and you work at your own pace with your dog to achieve each level. You are required to complete 12 out of 16 tasks at each level to progress onto the next level. This course is not competitive and there are no tests. A record of training achievements are kept and completed by the trainer. 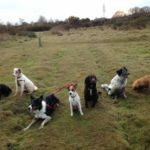 Social Walks are designed to be able to provide opportunities for you to socialise your dog with other friendly and sociable dogs in a supervised environment. They are not taught sessions. However a Trainer supervises the group and is on hand to answer any questions. The Social Walks are held on Thursdays (with Pauline) and Fridays with Katie) at 11am at Worcester Woods Country Park/Countryside Centre (WR5 2LG) and are generally followed by coffee at the Cafe afterwards for those who want to and weather dependent. This provides additional socialising opportunities for the dogs. The terrain is mostly flat, but can be quite muddy. We meet in the Countryside Centre car park. Please be prompt as we leave for the walk on time. These workshops are designed to help you learn and perfect your control in outdoor environments. Emphasis is put on building a strong and fun relationship with your dog outside so that they choose to stay with you rather than preferring to hunt or run off to play with other dogs or interact with people. We use a variety of methods, which may include clicker, whistle training and obviously response to your voice. We teach recall games and control, stop at a distance, scent games, sendaways, recall to heel and many others. Workshops are currently 9.30am Monday mornings for an hour and you can book dates to suit you. On Thursday there is an advanced group at 10am. Both groups meet at Worcester Woods. The course content will include amongst other things: bandaging, splinting, dealing with poisoning, burns, bites, stings, tick removal, taking pulse points and breathing reps. Some of the course is practical and you will be given advice on what first aid equipment to carry. There will be time for questions and answers. The techniques taught can be used at home for mental stimulation and energy outlet, assisting in the development of concentration and relationship building. The workshops are run in small groups, in a fun and relaxed learning environment. Older Puppies and Rescue Dogs often need to learn the basics if they have missed out on puppy training and are always welcome at the club. They may be too old for the puppy course but can enter the intermediate course. For older puppies and rescue dogs entering the club we may ask that you do an assessment first to meet you and the dog and to go through some basic training with you. 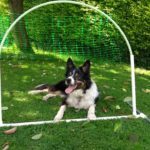 The Outdoor Courses are designed to provide you with a reliable recall and great control of your dog’s behaviour outside. This level of control is dependant on you having an excellent relationship with your dog, and the exercises you will learn are designed to enhance this relationship and make you a source of interest and fun to your dog. We include exercises based on scentwork, whistle training, gundog work, fun tracking, and retrieves. The Countryside Centre offers a wonderful varied environment, and we use both the woods and the fields accommodating the natural distractions around us. Handouts accompany this course. Agility Please see our Agility page for more information. Please see our Hoopers page – click here. Do you have a well trained dog?